The number of people being declared insolvent has risen for the first time in a year, but the total remains lower than much of the past decade. The Insolvency Service said that 19,683 people in England and Wales were made insolvent in the third quarter of 2015. This was up 2.8% on the previous three months, but down 18.5% on the same quarter a year earlier. Low interest rates have kept a lid on the number of people facing unmanageable debts. 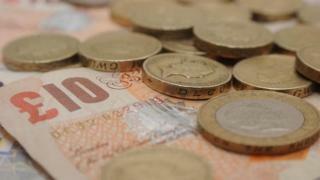 The Insolvency Service added that the number of businesses going bust continued to fall. Some 3,539 companies entered insolvency in the third quarter of the year, 4.4% down on the previous three months and 10.2% lower than the same quarter last year. The Insolvency Service said that the quarter-on-quarter rise in individual insolvencies was driven by an increase in Individual Voluntary Arrangements (IVA). An IVA is a deal between somebody in debt and their creditors, overseen by an insolvency practitioner. It is regarded as having less stigma and less chance of losing a home than bankruptcy, but involves paying some debts in one go. The number of people being made bankrupt fell to 3,857 in the third quarter of the year. This was the lowest level for 25 years. The total could fall further, as in October rules changed so the minimum debt a creditor must be owed in order to be able to petition to make someone bankrupt increased from £750 to £5,000. Mike O'Connor, chief executive of the StepChange debt charity, said: "It is important to remember that insolvency figures do not reflect the full extent of problem debt. More than 600,000 people contacted us for debt advice last year and insolvency was the right option for just 20% of them." Separate figures from the Bank of England show that unsecured borrowing by individuals continues to rise. This was mainly in the form of personal loans, which rose by £1bn in September. Borrowing on credit cards rose by £288m last month, the Bank said. This was in line with the average of the previous six months.